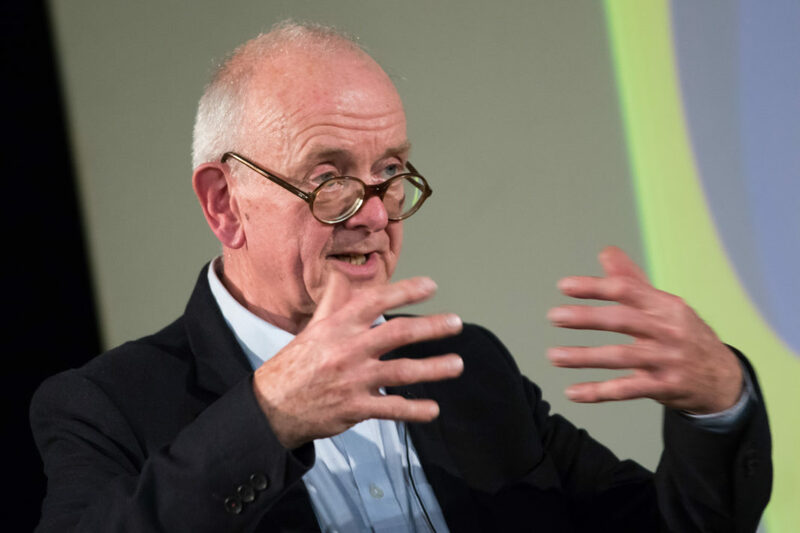 Yesterday an audience of almost 900 people turned out at the Camden Centre in London to hear the 2018 Voltaire Lecture, which was given by best-selling author, renowned neurosurgeon, and Humanists UK patron Dr Henry Marsh. 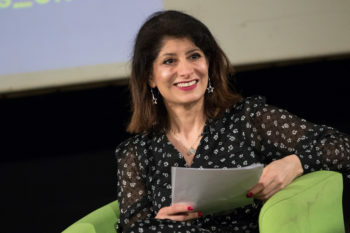 As per tradition, the Voltaire Lecture was chaired by the President of Humanists UK, comedian and author Shappi Khorsandi. Entitled ‘Do No Harm,’ Henry’s lecture explored the theme of his book of the same name, which was a memoir of sorts examining the moral complexities and difficulties encountered by medical physicians in the course of their work. In his lecture, Henry expressed with remarkable a clarity a few the complex dilemmas which many health practitioners inevitably face. Tensions arise, for example, between a patient’s need for certainty from their doctors and a medical professional’s need to think about health outcomes, and modes of treatment, in degrees of probability. ‘The surgical decision is always uncertain,’ said Henry. 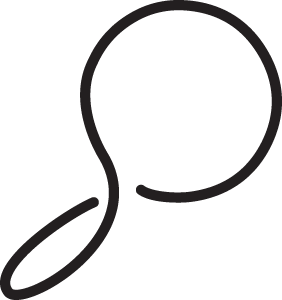 ‘It is not clear-cut… So much of modern medicine is palliative and not about saving a life, but improving life.’ When faced with the choice between saving a life, and at the same time taking away a person’s quality of life, as so often neurosurgeons must consider, surgeons are faced with ‘competing moral calculations’ in the absence of instructions from their patient. The anxiety a doctor faces when recommending treatment can be all the worse when they know, as most do, that human beings are riven with cognitive biases and irrational, personal leanings which often lead us away from making a purely fair calculation of harm, despite our best efforts to be objective. The lecture had no shortage of compassionate, sage advice for others looking to enter the profession. Reflecting on Leriche’s remark and his own ‘vast inner graveyard’, Henry attempted to answer the question: ‘What would you do differently?’ Ask for advice and help a bit more, Henry said. Not necessarily because your colleagues will know better than you, he explained, but often because simply asking for help can in itself be a positive step.  Sharing concerns with colleagues will often flag up blind spots in your reasoning, because they will have different perspectives and experiences from you, and will not share your unique complex of biases. In medicine, the ability to overcome one’s biases can save a life – or potentially spare someone a great deal of suffering. 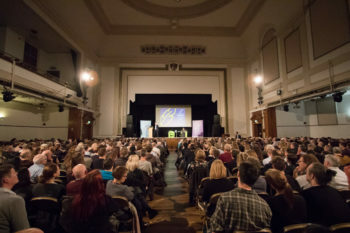 The Voltaire Lecture was established by the legacy of Theodore Besterman, biographer of Voltaire, for lectures on ‘any aspect of scientific or philosophical thought or human activity as affected by or with particular reference to humanism.’ Previous Voltaire lecturers have included: Professor Sir David King, Professor Anthony Grayling, Professor Steven Pinker, Professor Brian Cox, Professor Richard Dawkins, Professor Robert Hinde, Baroness Wootton, Bettany Hughes, Michael Foot, Kenan Malik, Natalie Haynes, Bonya Ahmed, Lord Taverne, Nick Cohen, and Sir Ludovic Kennedy. It is always chaired by the President of Humanists UK. The 2018 Voltaire Lecture was recorded and will be uploaded to YouTube at a later date.